The nature of reality has been a long-debated issue among scientists and philosophers. 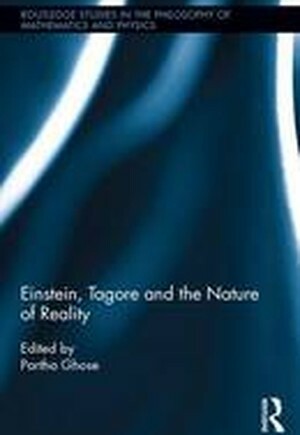 In 1930, Rabindranath Tagore and Albert Einstein had a long conversation on the nature of reality. This conversation has been widely quoted and discussed by scientists, philosophers and scholars from the literary world. The important question that Tagore and Einstein discussed was whether the world is a unity dependent on humanity, or the world is a reality independent on the human factor. Einstein took the stand adopted by Western philosophers and mathematicians, namely that reality is something independent of the mind and the human factor. Tagore, on the other hand, adopted the opposite view. Nevertheless, both Einstein and Tagore claimed to be realists despite the fundamental differences between their conceptions of reality. Where does the difference lie? Can it be harmonized at some deeper level? Can Wittgenstein, for example, be a bridge between the two views? This collection of essays explores these two fundamentally different conceptions of the nature of reality from the perspectives of theories of space-time, quantum theory, general philosophy of science, cognitive science and mathematics.